You do have to be on the lookout for limited brews with Negami Brewery in Gotemba City as they tend come and go very quickly, and unless you have the chance to know the brewer personally like my my lucky self, they will pass by you without notice! This brew is particularly interesting as it experiments with Omachi rice from Okayama prefecture and Hattan 55 Rice from Hiroshima Prefecture, and this with the water and yeast of Shizuoka prefecture! Aroma: Assertive. Dry and fruity. Melon, banana. 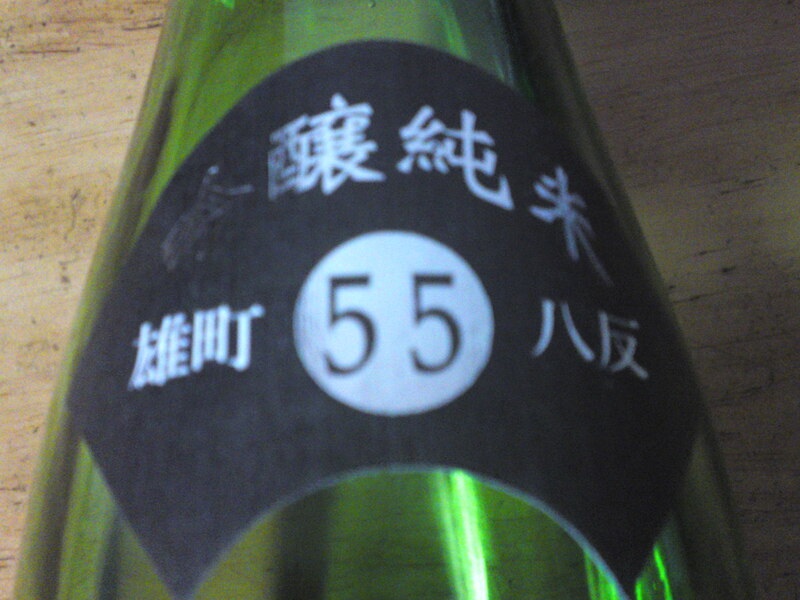 Taste: Strong and fruity attack with lovely dry junmai petillant warming u back of the palate. Melon, oranges, with notes of sweet lemon. Begins on a sweetish note to quickly revert onto very fruity dryness. Changes little with food although takes on an even drier turn. Eminently enjoyable away from food as well as any time during a repast. 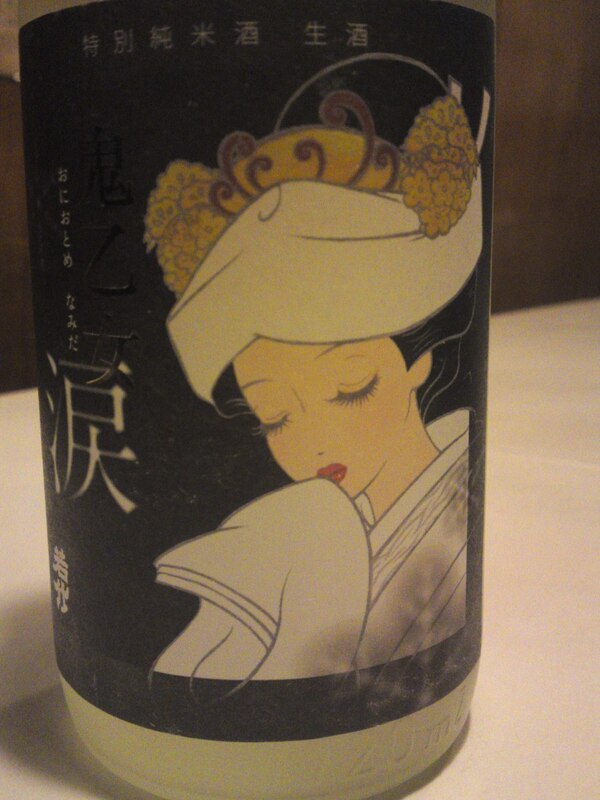 Overall: An elegant and rare sake typical of Negami Brewery. A sake that elegantly invites you for more intriguing exploration. Would please ladies and gentlemen alike. I would definitely it for a special private tete a tete! This is the fourth and “last” of a new series of limited sake created by Omuraya Brery in Shimada City every season on the theme of “Oni Otome/鬼乙女/Goblin Lady as the brewery felt that the Oni/鬼/Goblin they were killing everyday with their famous brand “Oni Gorosjhi/鬼殺し/Killing a Goblin” well deserved a companion! “Namida/涙” stands for “Tears”, obviously Joy tears from the Oni Otome dressed all in white as if for a wedding with her beloved Oni! But don’t trust her! She is a devious and eminently dangerous lady! 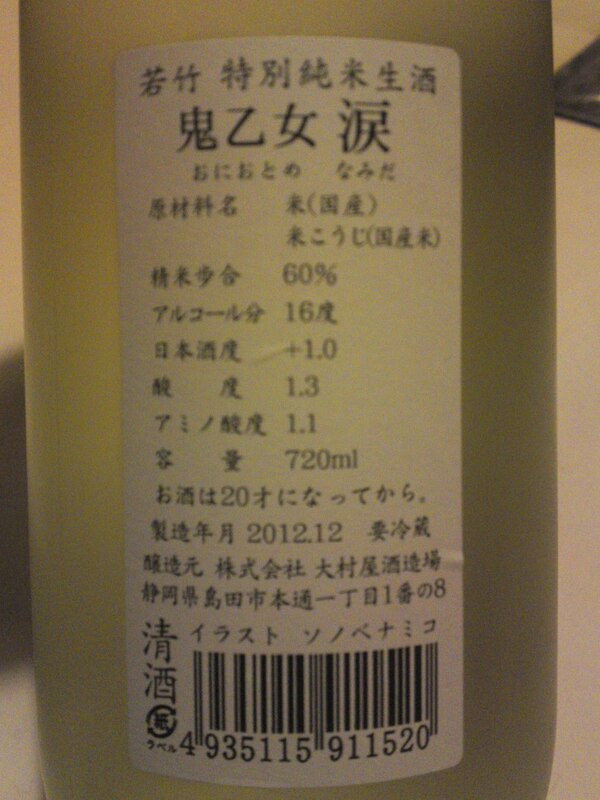 No wonder as it is a “nama”, non-pasteurised sake! 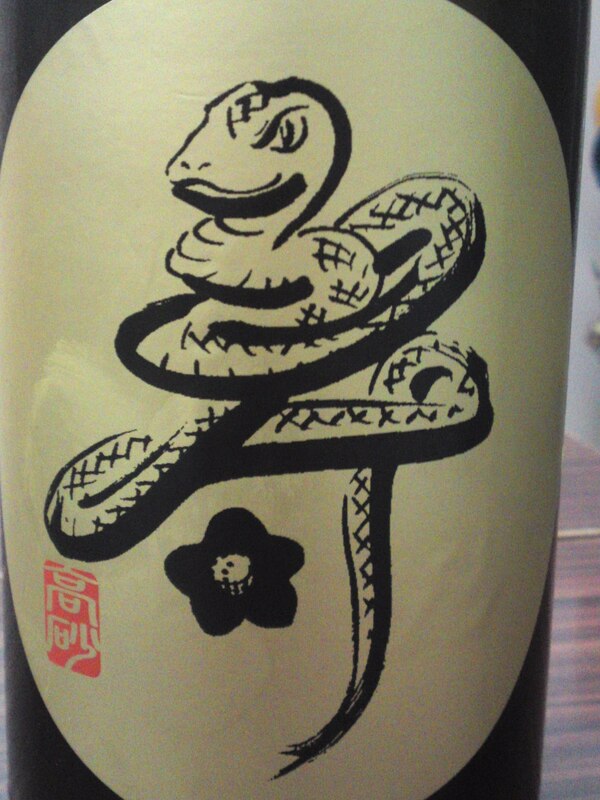 Taste: Dry and fruity attack back with junmai petillant. Complex and elegant and eminently enjoyable. Varies little with food except for an accentuated dryness. Actually marries well with food and improves accordingly. Shows more facets with further sips including coffee beans. 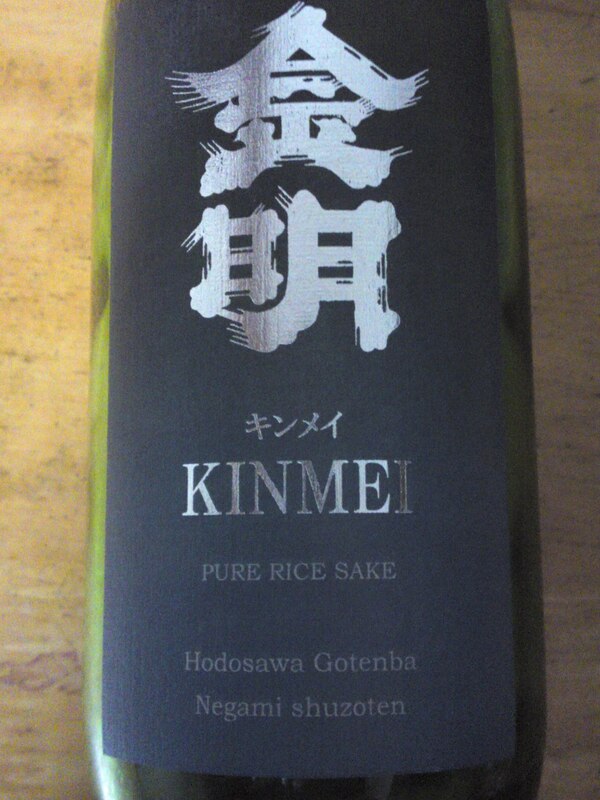 Overall: A beautiful sake which marries well with food in spite of its fairly elevated status. Perfect with izakaya cuisine and heavy food. Especially appreciated by ladies. No wonder! 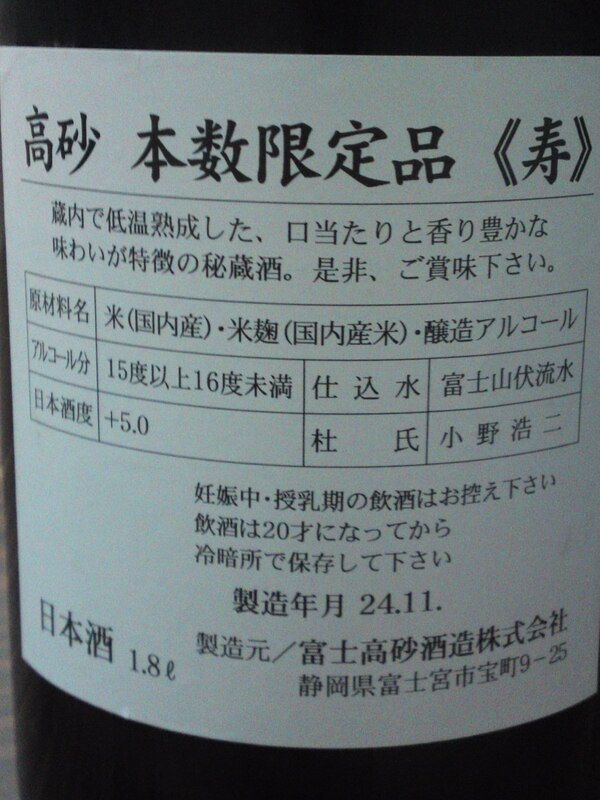 Every year Fuji Takasago Brewery in Fujinomiya City has the interesting habit of producing a limited brew called “Kotobuki/寿?, meaning “Congratulations” with “leftovers of different brew concocted during the year. 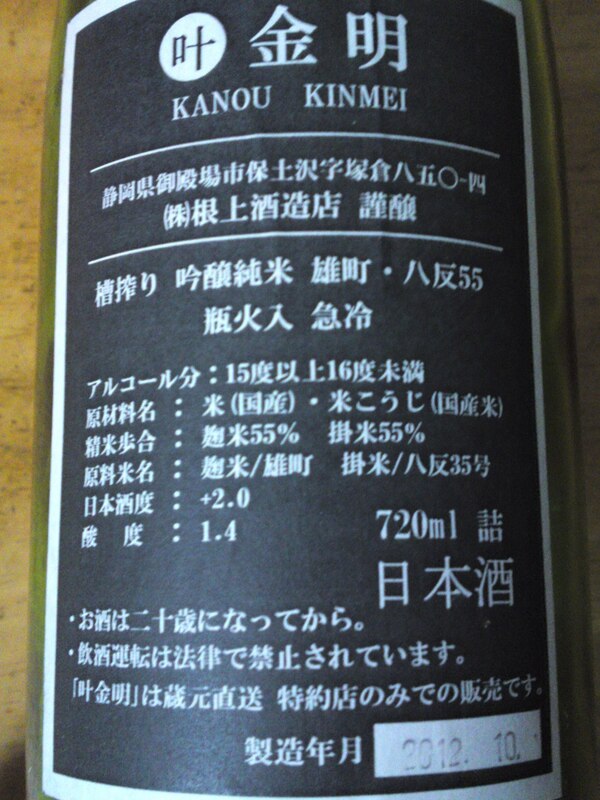 Actually it is a very happy blend of sake difficult to classify but eminently enjoyable, the more for it that it is limited! 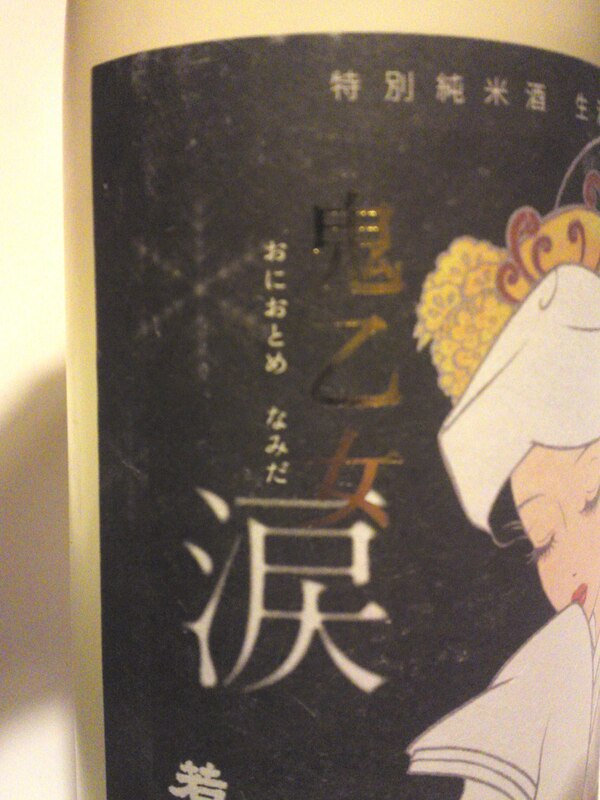 Note the character 寿/kotobuki/congratulations has been designed in the shape of a Snake as 2103 is the Year of the Snake! Taste: Well-rounded fruity attack with beautiful alcohol warming up back of the palate. Very fruity in spite of its announced dryness. Complex. Nutty flavor almost exploding on the tongue. Almonds, dark chocolate, macadamia nuts. Tends to become even drier with plenty of almonds popping up at the back of the palate after a few sips. Overall: Very easy to drink and more elegant than expected! Great with food, although could actually be enjoyed on its own as a chilled aperitif or a night cap! Would greatly marry with cheese!